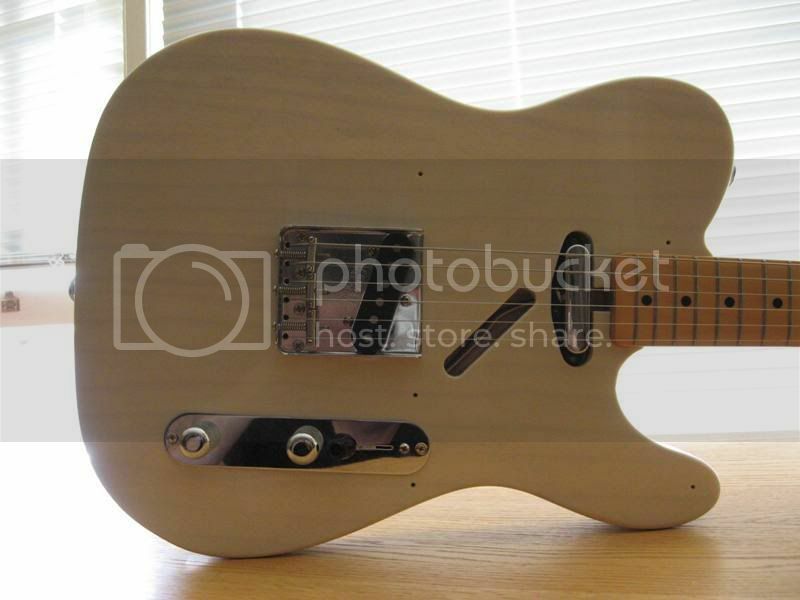 one-piece lightweight MIM ash tele body? Discussion in 'Guitars in General' started by diego, Oct 17, 2008. This guitar weighs 7.2 lbs and sounds great. 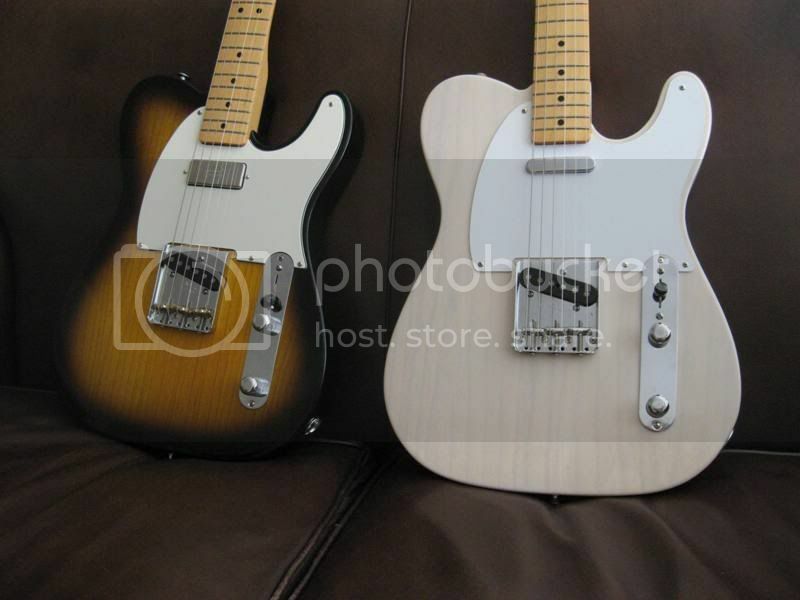 I have a MIM esquire, so I know where they usually put the three pieces of wood together for these bodies, but I can't find any lines on this body. There's a spot on the front that above the strings that looks kind of like it, but not if you look closely, or look at the back. Seems unlikely, no... ? Have you got a picture of the end, by the strap button? Pretty hard to tell. 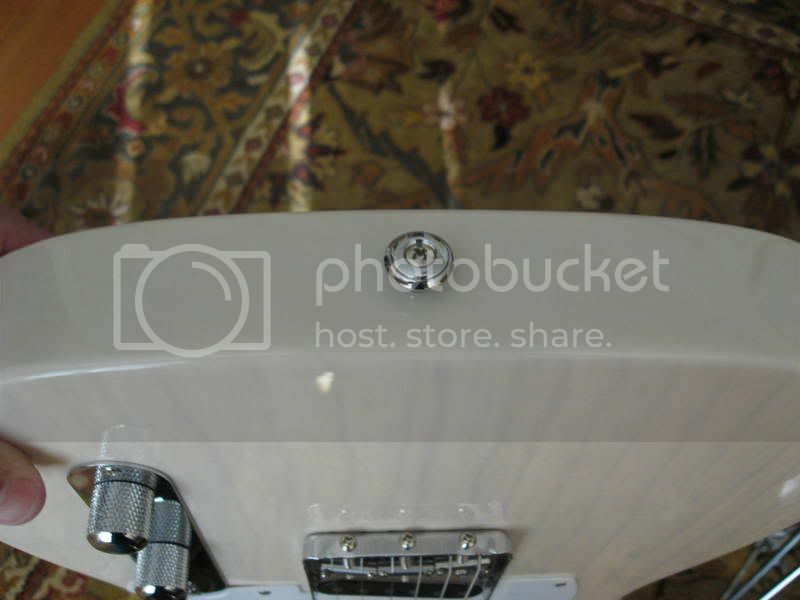 Is it an original fender body? You might have to pull the neck and bridge and look at the unfinished center line in the pocket. Youd also see the factory markings. They would normally paint it heavier on the ends to hide the joins. Nice looking Guitar!! I see what I think are two joins. Center and about 2 inches from the end on one side. But that's a pretty one, very nice find. Hope it sounds real good, also. I wonder if they did have a one piece, would they be allowed to leave the end grain semi-transparent instead of blotting out the ends. if it's MIM, it's probably a 6-8 piece body with laminate on the front and back. that's why the sides are painted thicker. 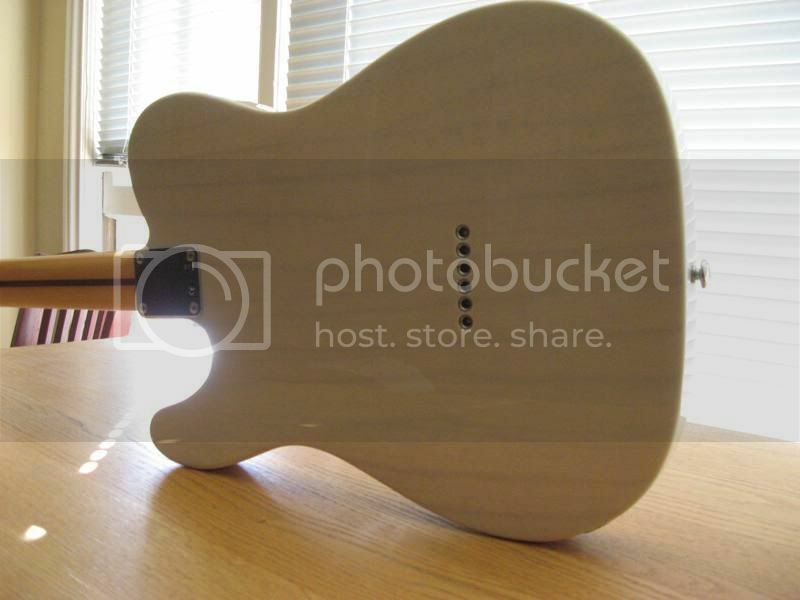 i had a black lefty MIM tele, and decided to strip the finish... the BACK was laminated but not the front... looked like a butcher block when i was done with it... fun guitar tho. There ya go! It's resonant, sounds great, and is lots of fun... so it doesn't really matter. A good partner for my MIM Esquire.